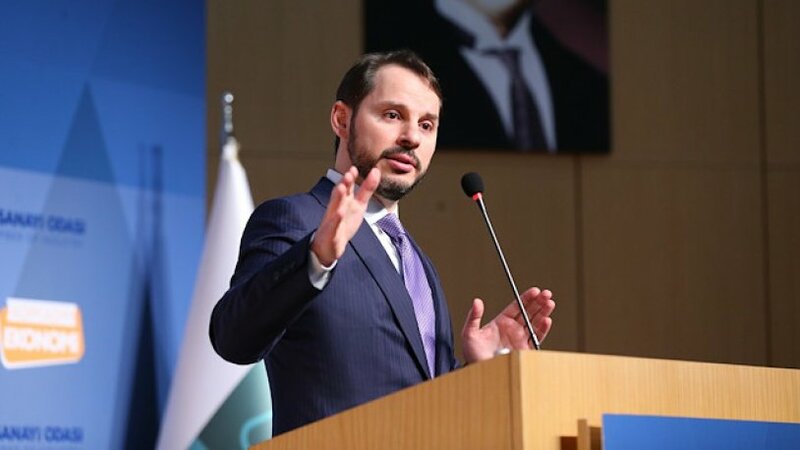 Turkish Finance and Treasury Minister Berat Albayrak on Friday said Turkish women had surprised him during a recent panel with their economic knowledge, opposition news site Sol Haber reported. Albayrak talked about gender equality, while speaking in Istanbul on International Women’s Day. “I thought they would ask questions about home economics,” Albayrak said mentioning a recent panel with women. “They asked questions that even the best financiers would not be able to ask. I was surprised with their competence on the details of the economy,” he said. Albayrak said that the Turkish government targeted to end all types of discrimination against women and to make women more visible. According to survey results shared by pollster Ipsos on Friday, 75 percent in Turkey supports gender equality, while 57 percent of Turks believe men are more advantaged in social life compared to women. Berat Albayrak Borsa İstanbul Gong töreninde açıklamalarda bulundu. Albayrak, kadınların ekonomiden anlamasına şaşırdığını ifade etti.